It’s definitely common practice these days for video game producers to stir up as much hype as possible for their new titles before they actually land on our shelves. The gaming industry is literally worth billions of dollars across the globe, so drumming up plenty of pre-release excitement and interest definitely becomes worthwhile when those sales figures are eventually reported. As far as gaming franchises go, they don’t come much bigger than Call of Duty, and if the latest trailer for Call of Duty: Ghosts is anything to go by then it looks like gamers are in for a deep blue based treat when this one eventually lands. The latest video to be released is being referred to as "Into the Deep", due to it featuring more than five thrilling minutes of underwater gameplay. We are expecting to see a lot more action from Infinity Ward when this year’s E3 event kicks off in a few hours time, but the pre-E3 stream event has definitely shown us enough to make sure that we will be amongst the first in line to get our hands on Ghosts when it arrives later this year. We’ve seen a number of water based missions available in previous iterations of Call of Duty, but Ghosts is ready to take things to the next level and tackle the programming nightmare that is water, thanks to the next-generation of hardware that Sony and Microsoft are treating us to with the Xbox One and PlayStation 4. Not only does the intense video show us our main character swimming seamlessly through the hazardous water, but it also gives us a glimpse of some new tools which users will have at their disposal to assist with overcoming the odds. The underwater visuals are nothing short of stunning, with submerged wreckage being depicted beautifully and those deep blue gun battles looking certain to get the adrenaline pumping. However, it’s the remote controlled underwater torpedo that is seemingly gathering the most attention in this trailer. COD fans always manage to dig deep and find new levels of excitement when it comes to the introduction of new environments, gameplay methods and new methods of destruction. It certainly looks like Call of Duty: Ghosts will be yet another success in the history of this fantastic franchise. 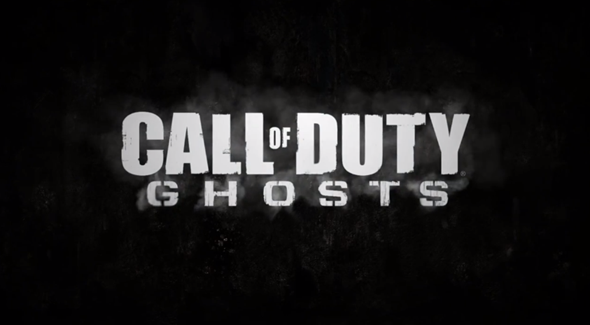 Call of Duty: Ghosts release date is stated for later this year, as confirmed by the game developers themselves.